During Chick Days, I brought home 4 layer hen chicks and 6 of a meat breed. We lost one of the layers within a few days of arriving home (which is not unusual) and the meat chickens all eventually dropped dead over a long period of time for some reason (which is unusual). We’ll go back to ordering our chicks from Ohio by mail for any future freezer birds. 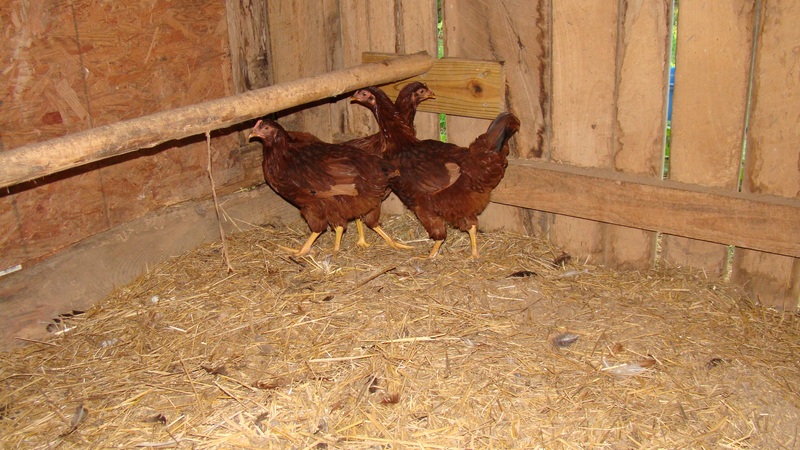 We recently relocated the hens from a chicken tractor into the little barn with the rest of our layers. They hang together in the corner like monkeys. None of our other hens are bothering them in the least. They’ll eventually get comfortable and join the flock as full fledged members.